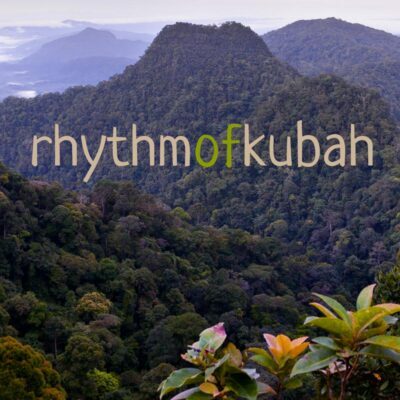 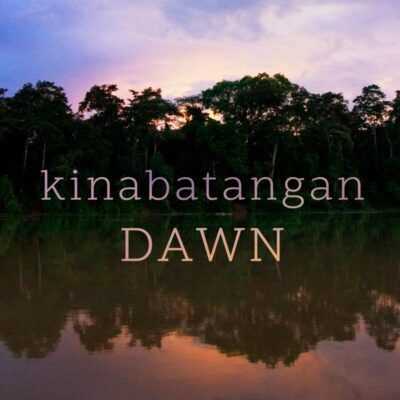 This single-track soundscape was recorded in lowland rainforest in north-east Borneo. 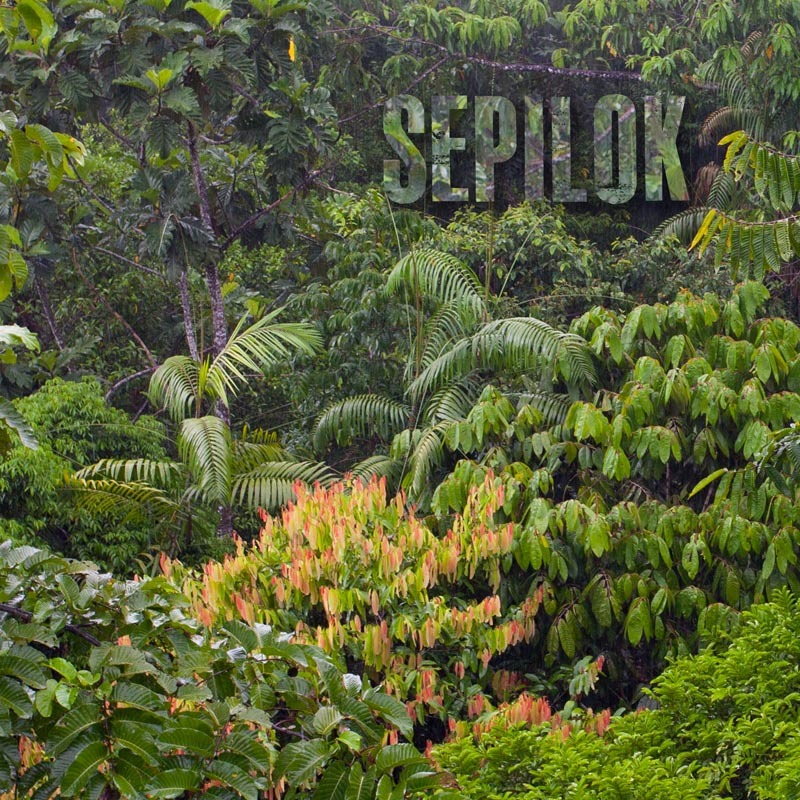 Preserving a vital remnant of primary rainforest, Sepilok is a biological oasis amidst a sea of palm oil plantations. 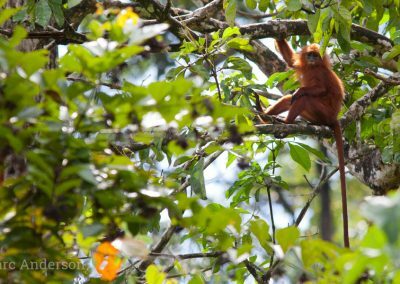 The Kabili-Sepilok Forest Reserve comprises 43 square kilometres of healthy forest and mangrove habitat, and is best known for it's famous Orangutan rehabilitation project which was established back in 1964. 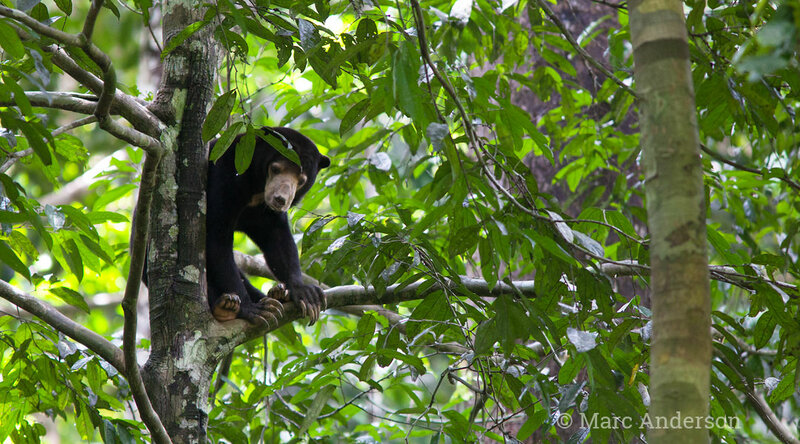 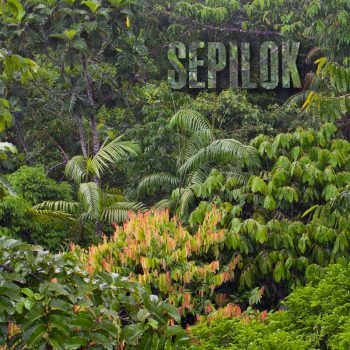 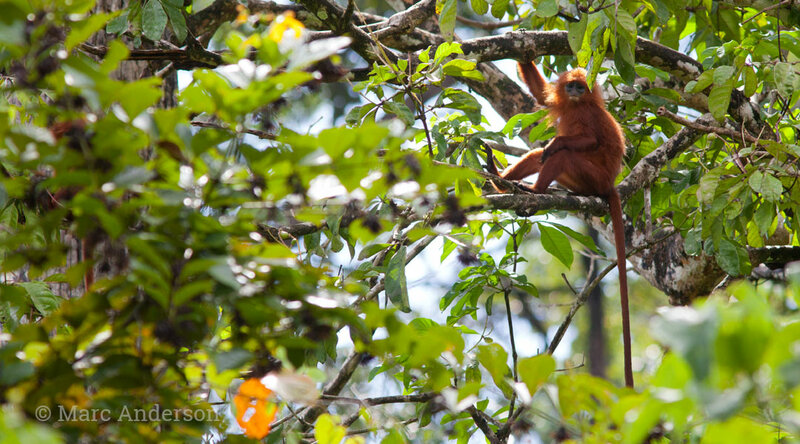 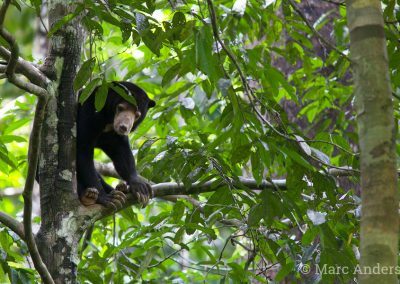 Although a relatively small reserve, Sepilok is home to an astonishing variety of wildlife including Bornean Gibbons, Malayan Sun Bear and several species of flying squirrel. 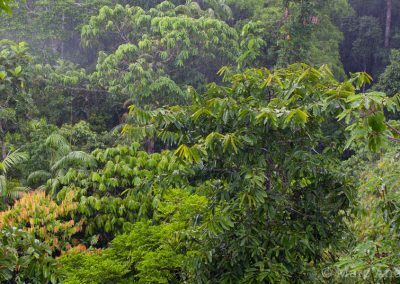 In 2007, the Rainforest Discovery Centre (RDC) opened it's gates to the public, and since then has developed an excellent system of walking trails into the forest as well as a series of canopy walkways. 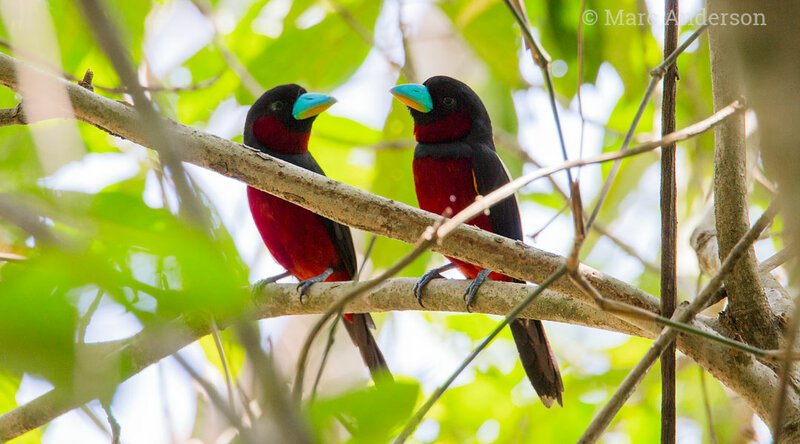 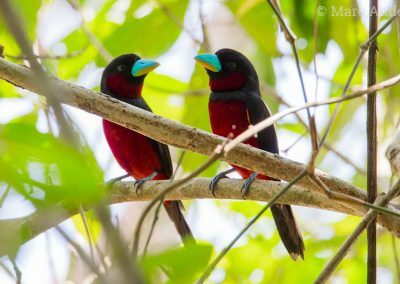 Birdwatchers flock to the 'RDC', drooling in anticipation of spotting colourful trogons, broadbills, hornbills and the tantalising Bornean Bristlehead! 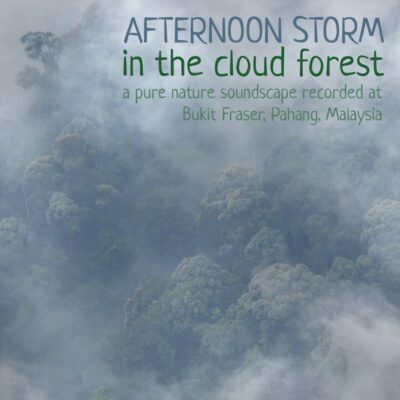 This recording was made early in the morning at the Rainforest Discovery Centre, along the Kingfisher Trail. 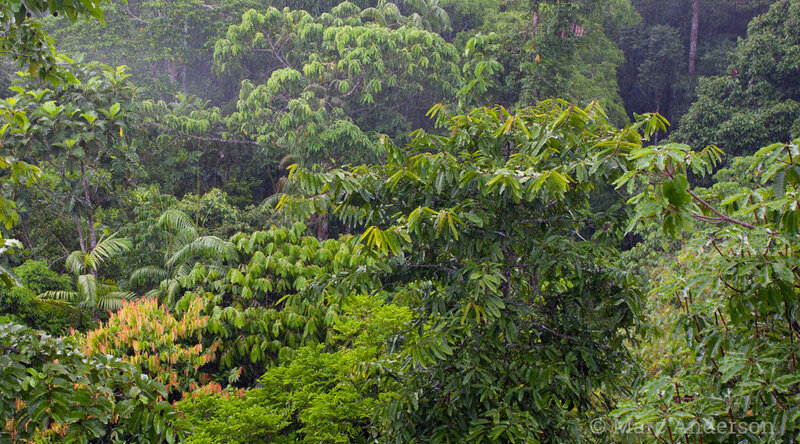 Typical of this type of primary lowland forest, cicadas and insects dominate the soundscape, while bird call softly in the background. 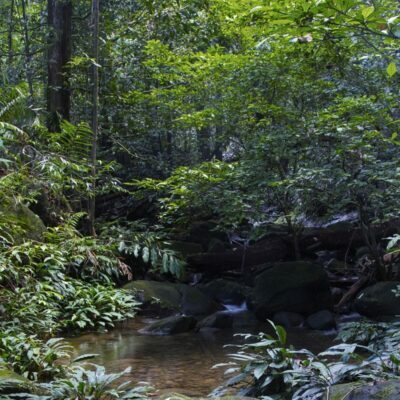 This single-track soundscape recording feautures a gentle tropical rainforest ambience with abundant insect life & background birdsong.